This month’s Boss Jock hails from Fair Lawn N.J. Peter Boam, affectionately nicknamed Mr. Smooth, got his start at the campus radio station KERS while attending college in Sacramento, CA. 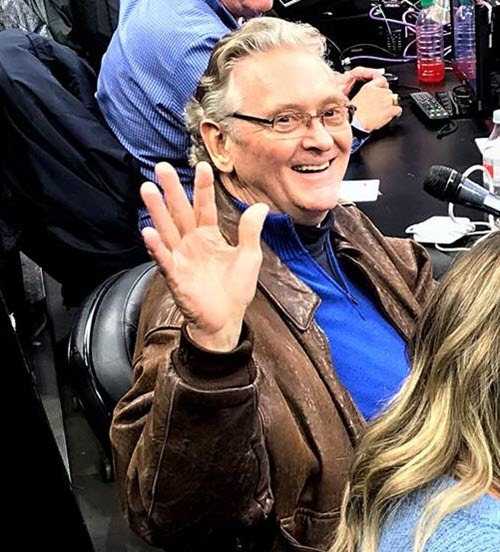 During his college years, Peter also worked at several stations in the Sacramento area—KXRQ, KJAY, KMYC, KJOY—and in his final year in college, KROY, the top station in Sacramento. And just in case you were wondering, Peter did earn a B.S. in mechanical engineering throughout all this! In Madison, Peter was voted “Madison’s Best Radio Personality” by Madison Magazine readers five times! Thanks to deregulation and consolidation in the 90s, Peter’s career came to an abrupt end. He then moved to Utah to work as a training manager for Discover Card. While there, Peter went back to college and earned a Master’s in communication. With sheepskin in hand, he moved to LA, accepting a position as CA Harley-Davidson’s communications director. That was 2002; in 2007 his position was eliminated. Peter transitioned into retirement while still looking for more corporate work. After a move to Marin, CA, Peter started doing Public Address announcing for local high school sports. Ten years later, he is still announcing for high schools today. Several weeks after the Boss went on the air in 2012, Peter joined the Boss Jock team. It was then when Terry McGovern called him smooth and mellow. Peter adopted the name, Mr. Mellow. However, fellow DJ Wyatt Jennings called him Mr. Smooth and it stuck!